Israeli citizen attacked by Arab rioters after entering the village of Abu Dis, rescued by Israeli security forces. A 59-year-old Israeli citizen was attacked on Friday by Palestinian Arabs after he entered the Palestinian Authority village of Abu Dis. 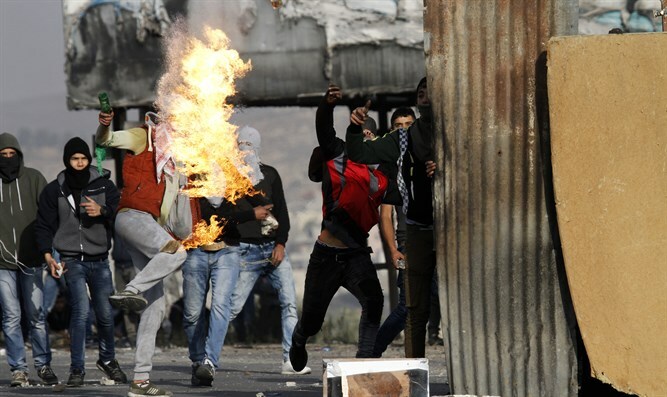 According to the IDF Spokesperson's Unit, a violent riot broke out in the village, during which 200 Arabs threw rocks, set the civilian's car on fire, and prevented him from exiting from the village. IDF soldiers and Border Police officers entered the village in coordination with the Civil Administration and rescued the civilian who was suffered light injuries. The incident is under investigation, according to the IDF statement.